Be present. That’s my message today. “Do not dwell in the past, do not dream of the future, concentrate the mind on the present moment.” – Buddha. Some people may well say it’s obvious or even redundant to say this is the one rule everyone should try to stick to: Be present. And still, we are always caught in between so many things that our attention span tends to reduce. From the moment you wake up, there are so many distractions that being present in whatever you are doing or dealing with at that moment might not be as easy as it seems. It is really easier said than done. While reading this, you might be thinking about how to apply it to your own life, or reminiscing on past events when you feel you were present in the moment, or perhaps thinking about what you need to do when you’ve finished reading, or even thinking on what you were doing before you started – some of you may have the TV on in the background, or other windows open, or are speaking to others at the same time, and so on. It is a clear indication that your mind is wandering off after only 30 seconds of reading. No matter what you do, aim to exercise your attention, give that task or activity your 100% attention as much as you are able. This goes from watching your daughter swimming to your work related tasks. Nothing will bring back time in your life, so be here, be present and give it your attention when it is important for you to be. But we don’t. We move through daily life rushing from one task to the next, allowing our minds to play back an endless loop of ‘to-dos’, stress and often much negativity. Never fully appreciating one moment from the next, arriving at our next stop before we fully realise we left the last one. It is easy to get caught up in the mindless activities of living – home, work, meals, commute can all become routine. We find ourselves looking forward to the next big thing on the horizon – a party, a trip, a date night…and we build it up, often expecting perfection. We go through the motions of daily life anticipating that big thing and allowing all the little things to pass us by. Life is not meant to be lived waiting for the perfect moments, the big things – it is comprised of the imperfect moments and all the little things that make us who we are. These are the things that count, these are the moments we live for – the hugs heading out to the school bus, the sighs over muddy paw prints, the laughter over a cup of tea. Big things come once in a while, let not the little things slip past. That stuff is life, your life. The good new is – You can! You don’t need me to make this happen. You simply need to take a moment, take a breath and be present. This is not just abstract talk or theoretical discussion. A team of scientists from the University of British Columbia and Chemnitz University of Technology examined a number of studies on this subect and found that the practice of being present appeared to enhance specific brain regions related to perceptivity, pain tolerance, emotional resilience, complex thinking and self-awareness. 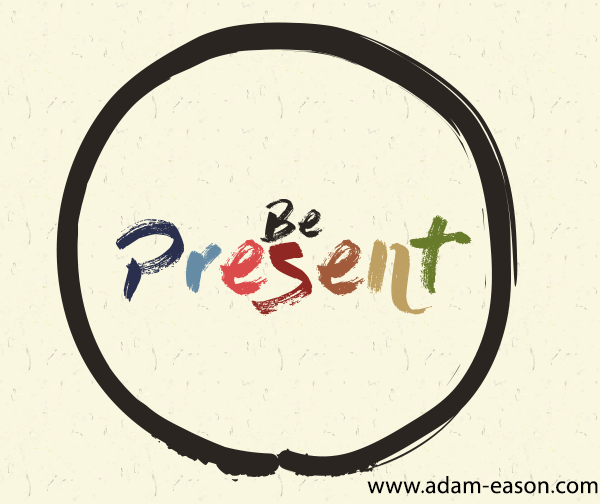 How do you start to be present? Is it being mindful? You actually start by noticing whenever you are not present and then ask yourself: am I not present here now in this moment because it is not a priority or because it is not my priority? If you find out that the present moment offers no value to you, your goals, your value in life, then it is probably not a priority and you can probably go on and do something else. Be present elsewhere perhaps. Why should it be a very high priority in your life to be present? Clarity is the answer. It will give you a clear tool to work on where you want to go, what your priorities are, what is important for you to pay attention to now (which massively aids productivity). Time is a precious resource and you want to make sure that you are present and can recall conversations, meetings and arguments later on and have given your best to a task you have engaged in more effectively by being present. Have you ever been in a conversation or a task whereby you were thinking you were wasting your time? If it’s not important, a priority, is not contributing to a life goal or enriching your life or if it simply doesn’t interest or drive you, then perhaps, you should be doing something else, and be present somewhere else. Next time you find yourself aggravated in line at the coffee shop, supermarket, in traffic, on hold on the telephone or wherever else – take a moment. Breathe in and feel light, breath out and let go, breath in peace for yourself, breathe out peace to everyone around you. Enjoy the scientific benefits of loving kindness. Next time things don’t go perfectly – take a moment. Breathe in all the wonderful blessings in your life, breathe out frustration at the current situation, breathe in grace and kindness, breathe out unmet expectations. Engage in the moment, be present. “Happiness is not something you postpone for the future; it is something you design for the present.” – Jim Rohn. By focusing on the moment, we can stop and enjoy the world around us. We can focus on the beauty of a falling snowflake, or the joy in relationships with the people around us. When things are tough, we focus on the worst of it, and start to make up stories or other narratives in our heads about what may happen or did happen that made the situation worse. However, by learning to be present, we are grounding ourselves to face the world as it is right now. Sometimes the world has the beauty of a winter landscape. Other times, we may need to ground ourselves as the winds of conflict are blowing hard in our direction. Being present allows us to center ourselves, evaluate where we are, and follow the best course of action for that particular moment, for that particular interaction. Being present allows us to bring out the best in ourselves. It allows us to be grateful for the relationships that we have, whether it is the relationships we have with our friends, or the relationship we have with our family….. I was asked a really interesting question by a life coach this week as I was working through my goals for the year. I had highlighted that I wanted to strengthen the relationship I had with my children and felt that I therefore needed to spend more time with them, but finding that time was going to be tough with everything else I had going on. He asked me how I wanted my children to remember the conversations I had with them in 20 years time and I responded, and we then set a system in place that reminded me to be that way whilst being absolutely present when I am with them. I did not necessarily need to carve out more time, just ensure I truly enriched the time I did have with them, and it has been a wonderful tonic and learning for me so far this year. We have the power to be present and bring out the best in ourselves as well as our communities, workplaces, and families. Be present. Find the joy in life. Center yourselves to ride out the storms when they come, because being present through the storms allows you to be present for the joy, innovation, and peace that follow. 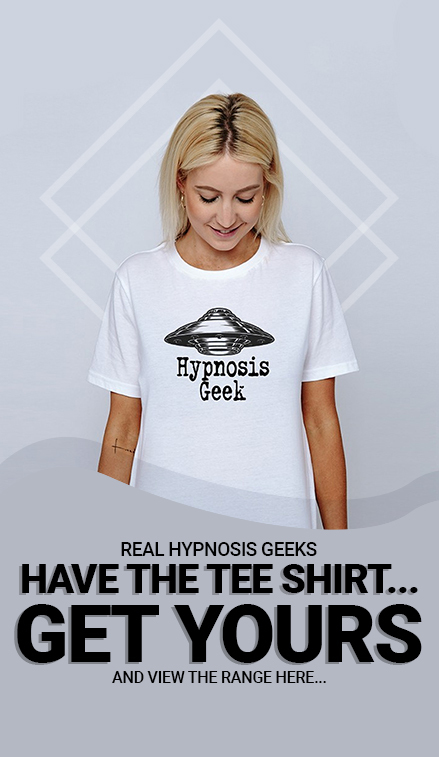 Likewise, if you’d like to learn more about self-hypnosis, understand the evidence based principles of it from a scientific perspective and learn how to apply it to many areas of your life while having fun and in a safe environment and have the opportunity to test everything you learn, then come and join me for my one day seminar which does all that and more, have a read here: The Science of Self-Hypnosis Seminar. Alternatively, go grab a copy of my Science of self-hypnosis book, it’ll help you be present!